Have you been thinking about implementing a mobile first design in your marketing strategy, but wonder if this is the best place to put your marketing resources? Today, a mobile first design isn’t an option. It’s a necessity. 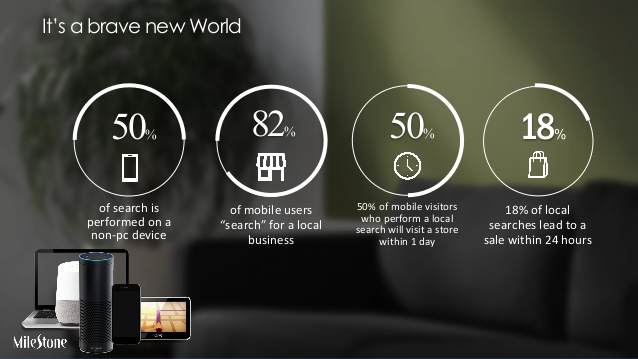 What works for desktop digital marketing doesn’t necessarily translate to mobile conversion. Do you know how to adapt your content marketing to the mobile audience? Short is good. Mobile customers are accessing content on a small screen. Anything that requires excessive scrolling is going to lose the customer’s interest. Choose short bits of content that will keep the mobile user engaged. Keep it short. Mobile users aren’t willing to devote as much time to video as desktop viewers. To be a successful brand, you need a strong mobile first strategy. There is no better time to develop one than today. Contact us, and the experts at JLB Florida will help show you the way.